A young orphaned boy named Mu Yi is saved by an old travelling Taoist Priest. 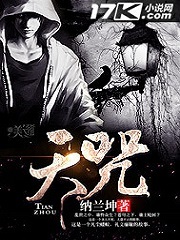 They travel the world ‘scamming’ people by ‘exorcising ghosts’ and ‘slaying demons’, that is until the old Taoist Priest dies and Mu Yi is forced to realise that all is not as it seems. He was told stories of armies of ghosts, hordes of zombies, horrifying demons, and worst of all, the cultivators who controlled them. Mu Yi takes his first steps towards rising to the top of this dark and cruel new world. Fantastic mystery and cultivation story set in early 20th century China. I am really enjoying the read. It's similar to the story the Lame Buddhist Monk, with a touch of horror and detective work instead of action and comedy. Check it out. The beginning of this novel is surprisingly good. I have to give it an upvote. I love the premise of the story too. Can't wait to see how the novel develops. To the translator, thank you for translating this Novel. I discovered the novel because I read PMG (Peerless Martial God) on http://totallyinsanetranlation. Com/ and now https://totallytranslations. Com/ and they translate Heavenly Curse. I love the story so far. Great MC. Great world. And I love how accurate the historical details are, it's a perfect mixture of cultivation, horror and history which is rare! I love PMG for example but the author mixes elements of Buddhism, Taoism and other types of spirituality which can be confusing at times. But in Heavenly Curse, all the elements are accurate, true and coupled with... more>> elements of magic. I love that.